There are few people who would deny that maintaining a blog can be challenging at the best of times. It’s a time and resource intensive activity that stretches the most creative writers and bloggers. 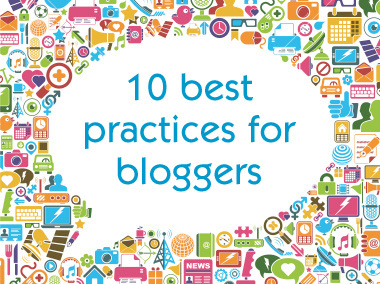 We’ve put together 10 tips to help guide bloggers through the quagmire. 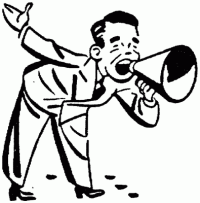 It’s good practice to link out to other websites or blogs when citing them. Reciprocation is very much encouraged in the world of blogging and this will eventually work in your favour if you are generous with links. Equally, insert links to your own previous blog posts in your content. Aside from getting a good dose of SEO love for your efforts, you’ll signpost your other blog posts and hopefully get some good engagement along the way. Any usability specialist will tell you, when arriving at a landing page, use of appropriate imagery or video content will capture the attention of users. This in turn should result in better engagement. Arriving at a blog post containing a large block of text is not appealing to the eye and requires too much cognitive effort; as a result it’ll more than likely have a higher bounce rate. Your blog post may well be the first landing page users arrive at when finding you through search results or a social citation, so where possible follow best practice guidelines for landing page design. Jakob Nielsen‘s original study of human eye tracking on computer screens, revealed that 79% of users scan the content. They don’t tend to read content word-by-word. Screen reading is tiring on the eye, and let’s face it, life is busy, so it’s important to make your content easy to scan. You can also test your content using Juicy Studio’s readibility test to ensure your content is easily understood. The inverted pyramid is a metaphor used by journalists or other writers where the most important information is displayed first within a text followed by a more detailed explanation of that information further down the page. It’s a well-known technique deployed when writing news stories and is ubiquitously taught to journalism students. Front-loading content using the inverted pyramid means readers get the salient points quickly and can then choose to read further if they’re interested. This method works well for blog posts such as thought pieces that are more singular in their subject matter. I’ve always believed that bloggers should clearly identify themselves rather than hiding under a corporate cloak. Displaying an author name and even a photo has a positive effect connecting the blogger with the reader and in doing so promotes engagement. Furthermore, if you’re clever with your on-page SEO, you can benefit from displaying your author information in Google as a rich snippet thus helping increase click-throughs. If you’re creating fresh topical content, readers will more than likely choose to share it. By making social sharing options conspicuous, you are helping your social marketing efforts in addition to the positive SEO effect of increasing backlinks. You may want to check out free services such as AddThis or ShareThis which allow non technical bloggers to easily add social sharing facilities to their blogs. These services also provide social analytics, letting you gain insight into which content was most shared and which social channels your readers are using. Page length is a tough call and has often been the subject of debate between writers and usability experts. Usability specialists will often say shorter is better. Jakob Nielsen’s study on how much users scroll revealed that web users spend 80% of their time looking at information above the page fold, and although users do scroll, they allocate only 20% of their attention below the fold. 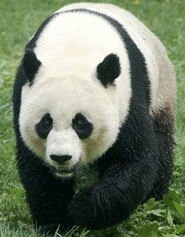 But if you ask the same question to an SEO’er, they could well argue that longer is better quoting Google Panda, which encourages unique, rich and topical content. This may sound obvious, but let’s face it, interesting up-to-the-minute content will generate good engagement, site-stickiness and promote your brand values. Furthermore, your content will be more interesting to readers if you demonstrate an opinion or have a unique writing style. If readers don’t agree with you, they may well comment on your blog. In the social web this is perfectly acceptable. Marketing blogs by the likes of Dave Trott and Seth Godin ooze flair, personality and contain strong opinions that build loyal audiences and encourage comments and sharing. Your blog headline will more than likely be published to your page title (or title tag) by your blogging platform/software. The page title plays an important role in SEO. It’ll have a bearing on your search rank and will also make you content more conspicuous in search engine results. I recommend a good read of the SEOMoz guide to title tag best practice so that you can factor SEO into your headlines. Also, bear in mind that your blog headline will most likely be published to your URL where shorter is generally considered better. When your blog post is shared on social channels, by default your headline (on LinkedIn) or page title (on Twitter, Facebook and Google+) will be published and therefore needs to appeal to the various audiences within those channels. Twitter represents a bigger challenge with its 140 character limit. When tweeting your blog post, your headline will need to be short enough to accommodate a URL (usually shortened) plus room for a hashtag or two. If you want to go the extra mile, you may want to experiment with metadata that adheres to the Open Graph Protocol which will give you more options when displaying your blog content within social channels. You can then write content and add additional elements (such as a thumbnail image) that works across the various social channels you’re targeting. If your subscribers are receiving your blog posts as emails or via an RSS reader, your headline will be displayed in the subject line. Keep it short and snappy (under 20 characters or thereabouts), so that it sits comfortably in your email software or RSS reader. If you’ve allowed commenting in your blog, put thought into how you respond as and when you receive comments. Be extremely careful how you respond to negative criticism. The number one faux pas it to delete comments unless they are clearly sales pitches, defamatory, highly inappropriate or the comments are generated by spam bots. Legally, it is better for you to post-moderate (i.e. publish comments once you have approved them), as you are liable for the content. However, this brings up the issue of moderation versus censorship which is often heavily debated and probably best left for a blog post in its own right. Very helpful 10-point blog strategy. Thank you.